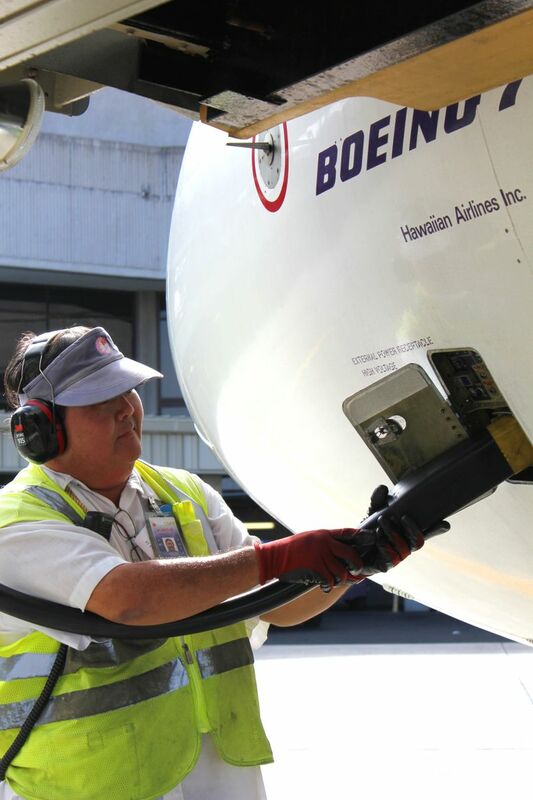 HONOLULU – Hawaiian Airlines this month achieved a key milestone in its ongoing effort to reduce fuel burn and carbon emissions when it powered all wide-body aircraft arriving at airports in a single day with electrical power at the gate. 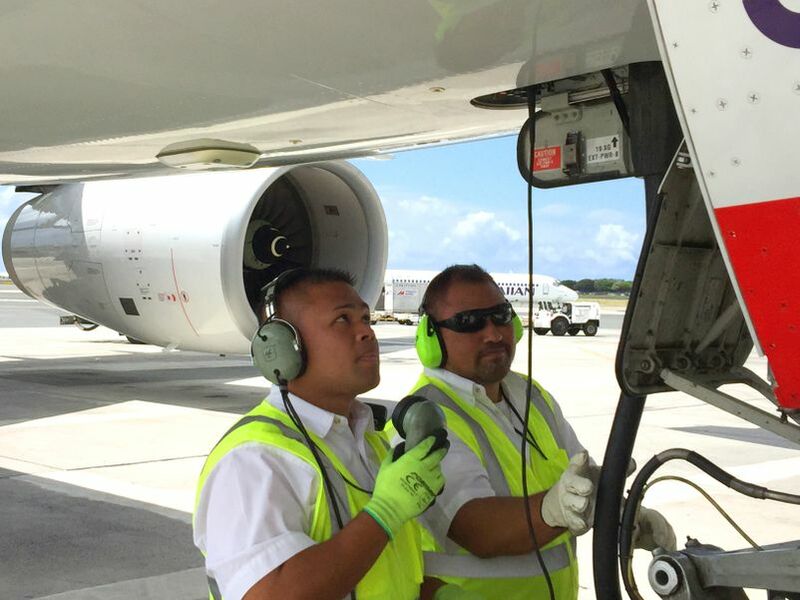 The carrier’s initiative to connect parked aircraft to more efficient external electricity is significantly reducing pilots’ use of the onboard auxiliary power unit, or APU, which burns jet fuel to keep lights, avionics systems, air conditioning and other equipment on. Now in its 88th year of continuous service, Hawaiian is Hawai‘i’s biggest and longest-serving airline, as well as the largest provider of passenger air service from its primary visitor markets on the U.S. Mainland. 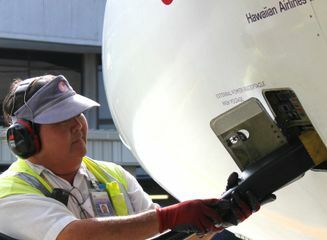 Hawaiian offers non-stop service to Hawai‘i from more U.S. gateway cities (11) than any other airline, along with service from Japan, South Korea, China, Australia, New Zealand, American Samoa and Tahiti. Hawaiian also provides approximately 170 jet flights daily between the Hawaiian Islands, with a total of more than 250 daily flights system-wide. A Hawaiian Airlines employee connects external power to a wide-body aircraft at Honolulu International Airport.